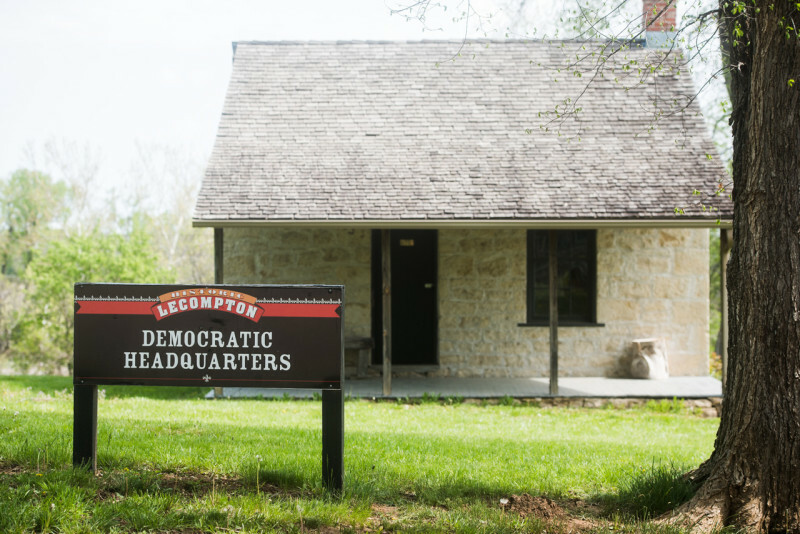 This stone building was the headquarters of the Democratic Party during the Kansas Territorial period (1854-61). 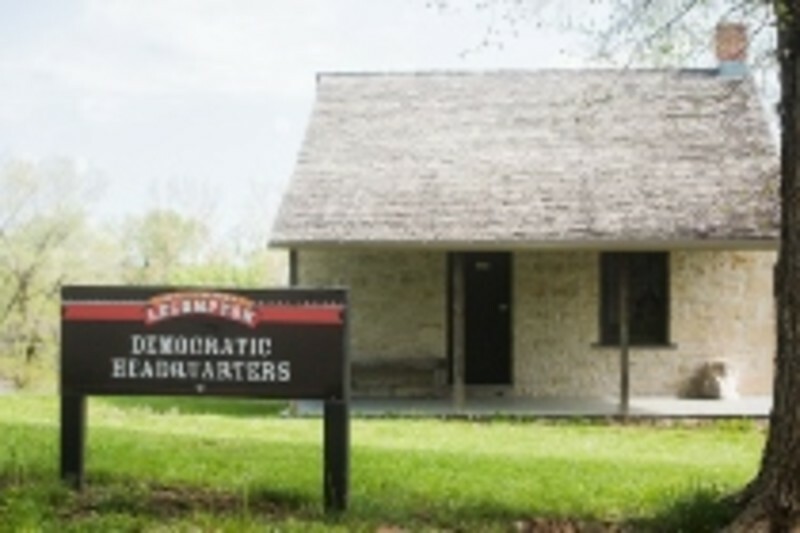 The cabin was used during a time when Lecompton, known as “The Birthplace of the Kansas Democratic Party,” was the territorial capital and stood at the center of national attention. Within these walls ambitious and influential men gathered to discuss issues, plot strategies, and make decisions that helped to shape the destiny of Kansas politics and government. This is a beautiful location over-looking the Kansas River. Bald eagles can often be spotted in the trees or soaring above. In fact, for a short time, our town had the name of "Bald Eagle" before it was changed to "Lecompton." Lecompton was named after the Territorial Judge Samuel Lecompte.